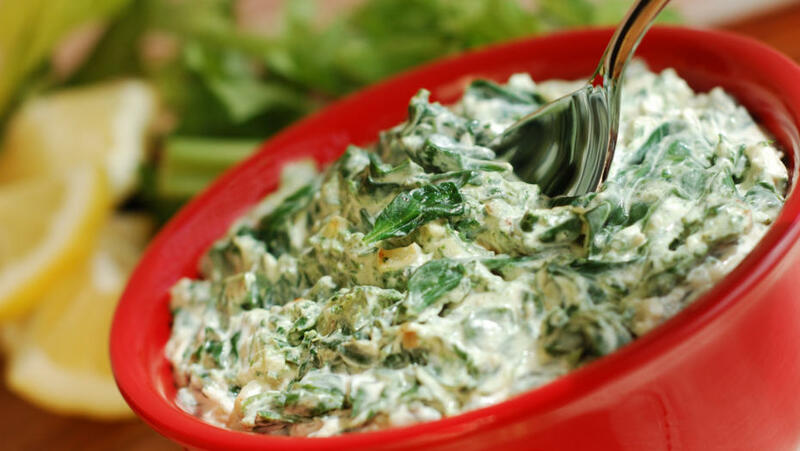 This creamy spinach dip can double as a protein-rich, gluten-free side dish, game day appetizer or parade route snack. Lightly coat a skillet with cooking spray. Cook and stir onion over medium heat until transparent (about 5 minutes). Add spinach. Cook until thoroughly heated (about 1-2 minutes). Reduce heat and add cream cheese. Stir until melted and smooth. Stir in Greek yogurt, Parmesan cheese and artichokes. Remove from heat. Season with salt (optional) and black and red pepper. Serve warm with fresh veggies for dipping.